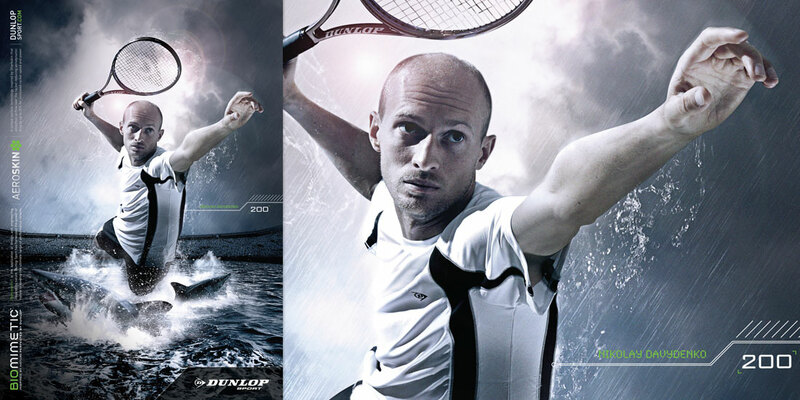 Brandammo were approached by Dunlop in 2011 to strategise, design, develop and implement a global advertising campaign to support the launch of their biggest and most ambitious tennis product launch to date. 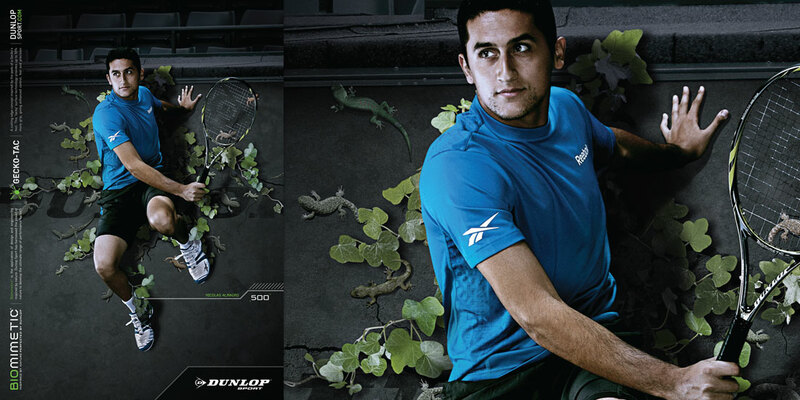 The Dunlop Biomimetics tennis range is centred around three unique technologies inspired by nature. The brief required Brandammo to take control of the entire campaign from developing a clear and relevant strategy, to design and development of a range of advertisements for a staged global rollout throughout 2012. 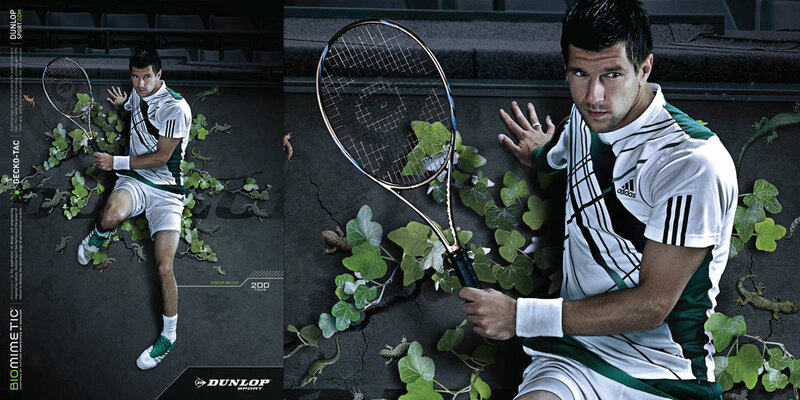 Working directly with Dunlop’s product development team, it was agreed that the central message for the campaign should centre around the transference of the ‘power’ of nature via the product attributes to the end-user, resulting in the player benefits of speed, power and control. 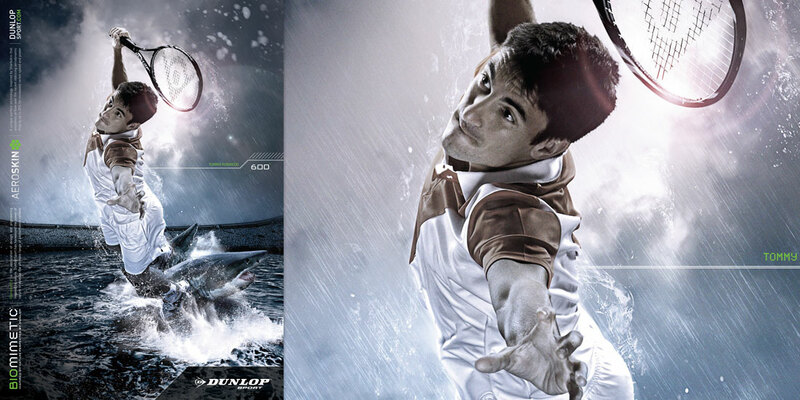 The concept that followed was centred on placing Dunlop Tour players in surreal tennis environments where they are shown literally displaying the abilities of the animals related to the three technologies. Through linking the players to nature in a visually appealing, intriguing and exciting way our aim was to emphasise the benefits of the product range through the physical actions of the players. To support the highly scientific nature of the technology, we also decided to overlay the images with HUD style graphics (intended to suggest a futuristic science experiment), which we could then be incorporated throughout the campaign. The visual style was also decided upon at concept stage, as the surreal science-fiction concept would require a specific look that would meet somewhere in the middle of fantasy and reality. Following the initial research and planning stages conducted closely with the team at Dunlop, Brandammo took control of the entire campaign. From development of the communications strategy and creative concepts and art directing the Miami photo shoot to full post-production, design and technical development of all campaign material, Brandammo combined their broad range of creative skills and experience to deliver a complete end-to-end service. Deliverables included a full range of 28 high-end retouched player and product print advertisements – including versions for teaser, pre-launch and post-launch roll-out. Brandammo also produced a campaign video combining live action video of the players with high-end 3D motion graphics and a series of animated web banners. The campaign was well received worldwide resulting in a 30.7% overall increase in consumers rating Dunlop as excellent from the previous year. There was a 22% increase in consumers having seen and remembered the campaign and a 9.3% increase in consumers saying they would buy a Dunlop racket as a result (97.3% overall). Sales of Dunlop rackets throughout North America grew more than 70% compared with the previous year with a global average increase in sales of more than 9%. The campaign was also named as a finalist in the prestigious 2012 Sports Industry Marketing Awards. The campaign was shortlisted in the ‘Best International Sports Marketing Campaign’ category following more than fifty hours of judging from a panel of more than 40 highly respected figures from the international sports and marketing industries. Increase in consumers having seen and remembering the campaign. Increase in consumers rating Dunlop as ‘excellent’ from previous year. 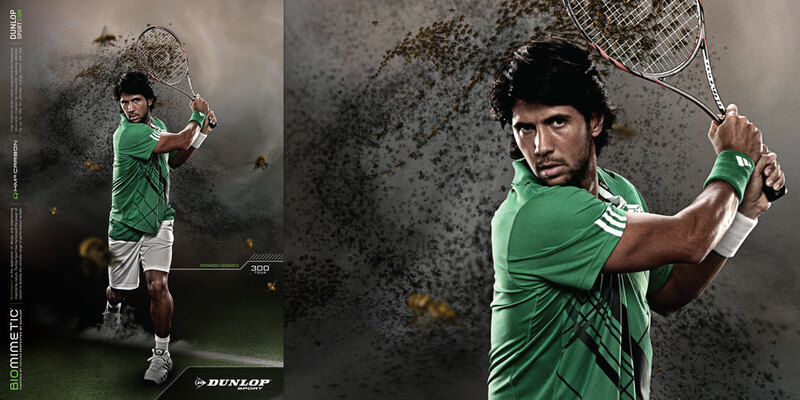 Increase in North American sales of Dunlop rackets from previous year. 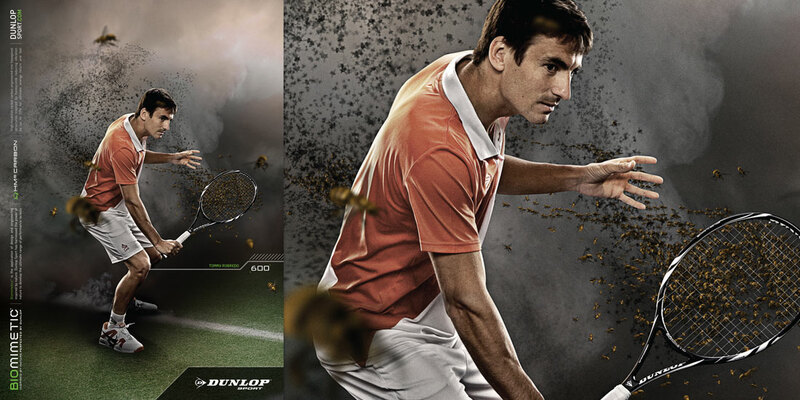 Increase in average Global sales of Dunlop rackets from previous year.